Some of our leaders dressed up as pirates and took to the seas (well, the River Severn) as part of the Shrewsbury River Festival. The team was given supplies to build themselves a raft, putting their pioneering skills to the test and then all of the rafts got to take part in a race along the river. 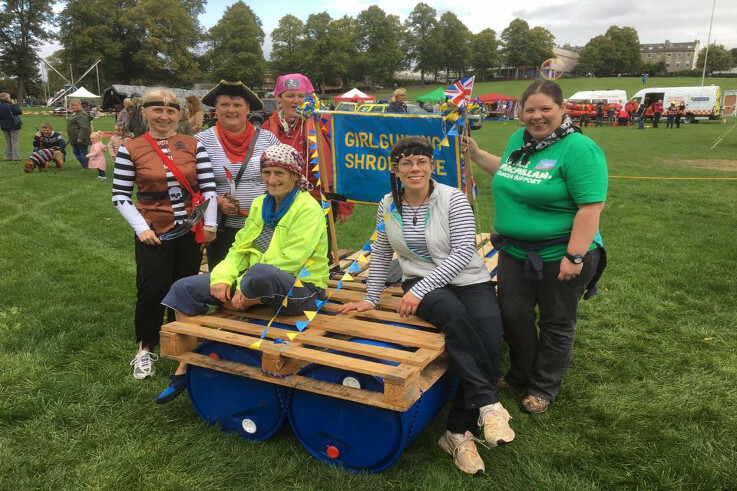 Not only did all of the Girlguiding Shropshire team’s knots stay in tact, but they paddled their way to victory as well, beating the other teams to win the race.